Awkward marketing campaign aside, here are the important details. The game is slated to launch on November 15, and it’s headed to San Francisco—probably the most obvious location for a game about technology’s hold on the world. 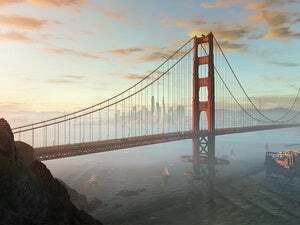 The tone is a lot sillier-seeming than the first game's, and San Francisco itself looks gorgeous, albeit not quite as traffic-ridden as real life. 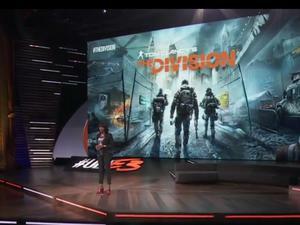 Other than that, the trailer includes a lady in a horse mask, a guy hacking a billboard screen, and our protagonist Marcus Holloway piloting a quadcopter (one of his new “toys,” according to Ubisoft). Typical day in San Francisco, basically. 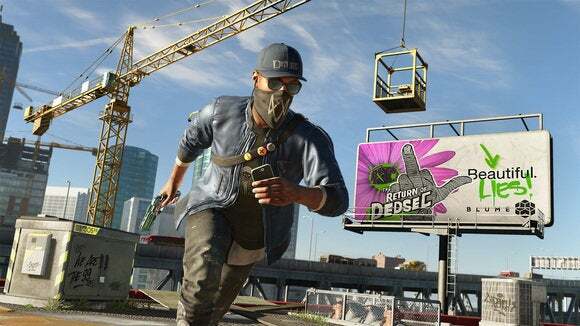 We’ll have hands-on with a demo of Watch Dogs 2 at Ubisoft’s E3 booth next week. If I’m lucky, maybe they’ll let me visit my own apartment in the game.